Teaching an old Mech new tricks. The source material for Heavey Gear 2 is developer Dream Pod 9’s stylish game system, which has evolved over a series of pen-and-paper RPGs, miniature sets, and card games. 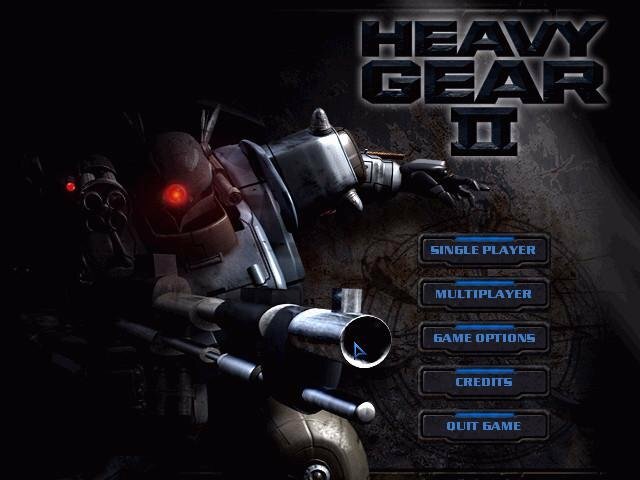 The universe’s “Gears” are, like Mechs, bipedal mechanized war machines piloted by humans. The key difference is that Gears are much more human-like. They’re not human-sized, exactly, but still manage to evoke a feeling akin to wearing a bulky suit of armor than piloting a giant bipedal tank. The result is a wholly different kind of control and feel than anything we’ve yet seen. 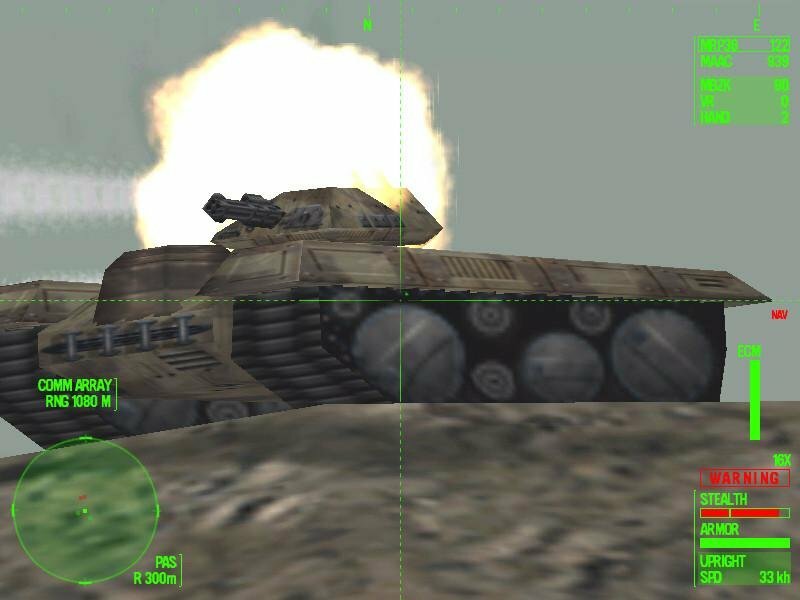 Even the original Heavy Gear, limited as it was by the aging MechWarrior engine, didn’t come close to the kind of mobility and control achieved in this sequel. 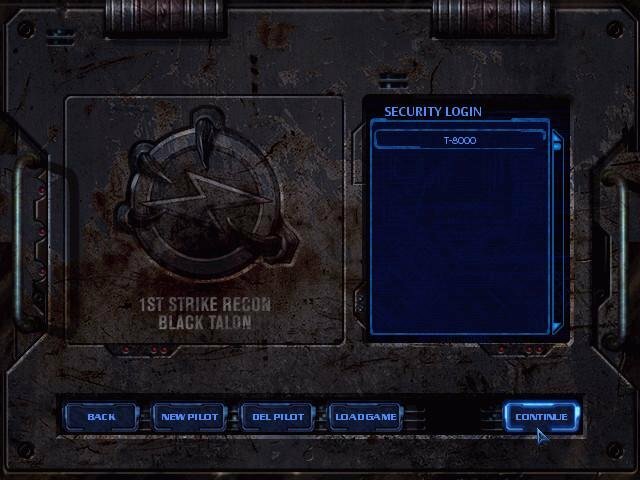 From the effective opening series of narrated training missions, you just know this is different. By default, Gears walk on two legs, but they can also switch to wheels or treads to achieve higher speeds at the cost of mobility. A Gear can kneel and lie prone, even crawling across the ground on its belly. Its torso twists and its arms have a wide range of motion. 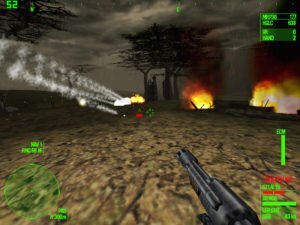 A “backpack” enables you to store weapons and switch them in and out of your active hand, while still using shoulder-mounted weapons such as rockets. This very human-like set of movements and actions creates an interesting style of gameplay. 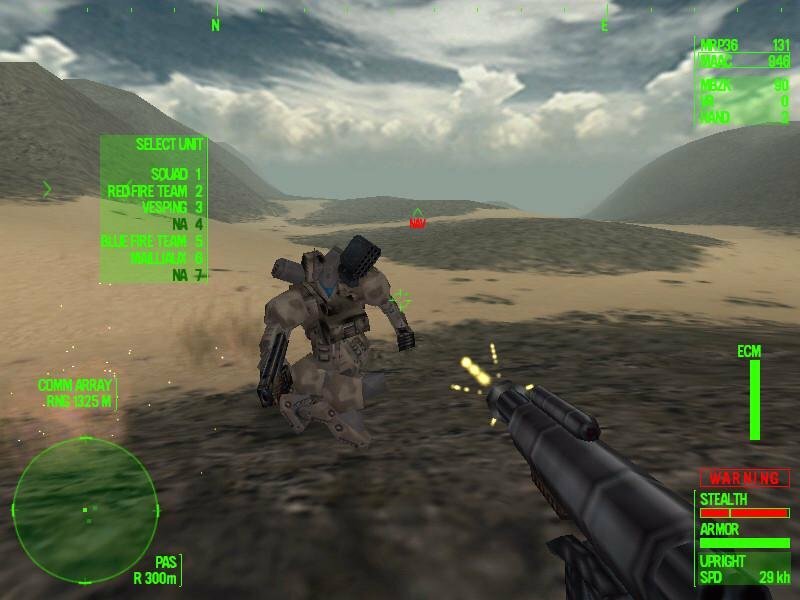 In essence, what we have here is a hybrid between the mobility of the first-person shooter and the heavily armored firepower of a traditional mech game. 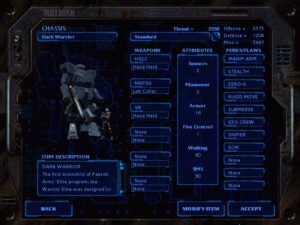 There are quick custom missions where you can pick from a dizzying array of chassis types and weapons loadouts, selecting and customizing squadmates and enemy squads. 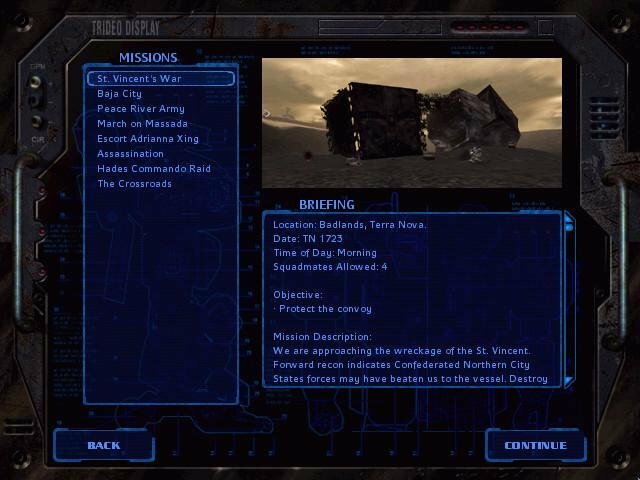 You can familiarize yourself with the system through the “historical” missions, which are essentially scripted stand-alone missions based on the history of the HG universe. 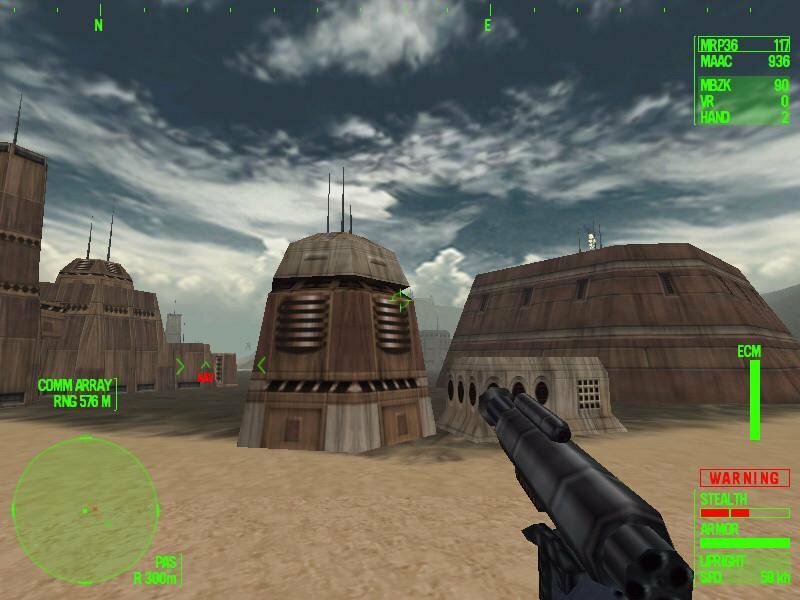 The core of the game, however, is a large narrative campaign in which you build and command a full squad through some of the best action gaming yet devised. 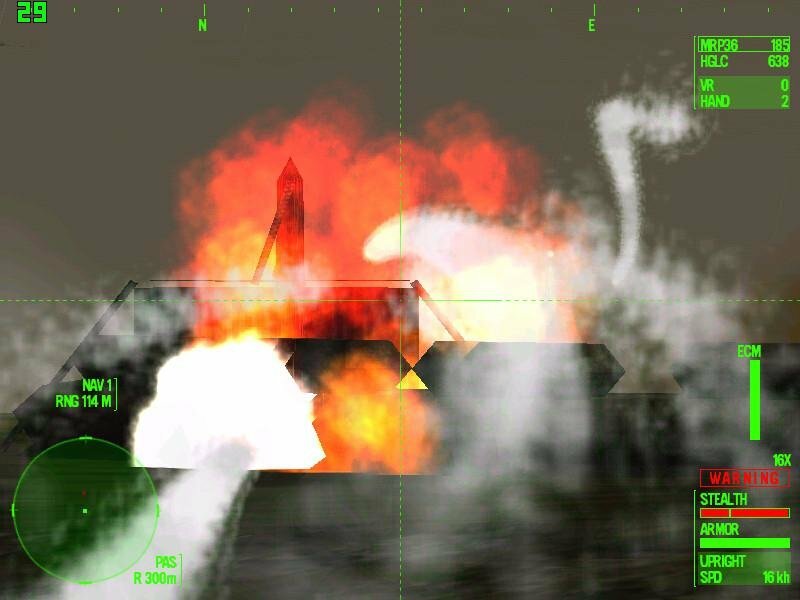 Missions are rich with incident and challenge, featuring multiple and sometimes shifting goals. 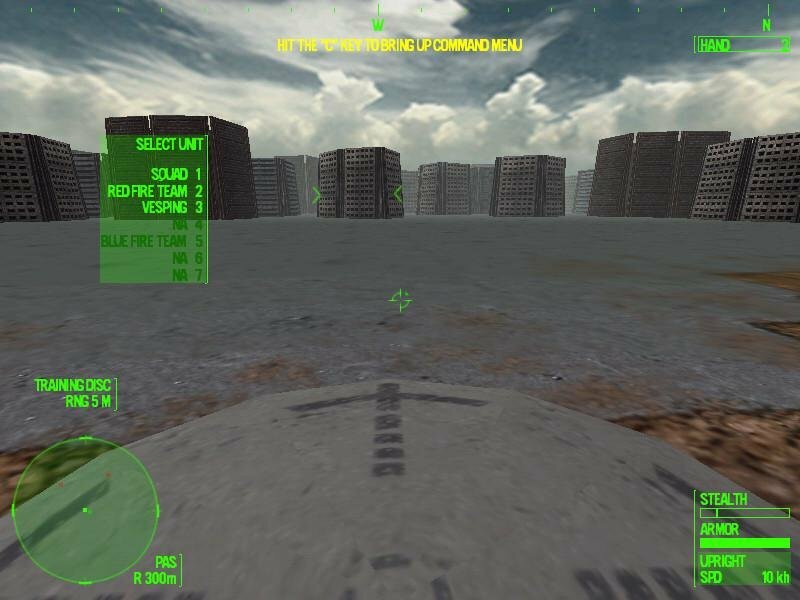 A wide array of world and terrain types ensures that things never become visually drab, as they can in MechWarrior 3. 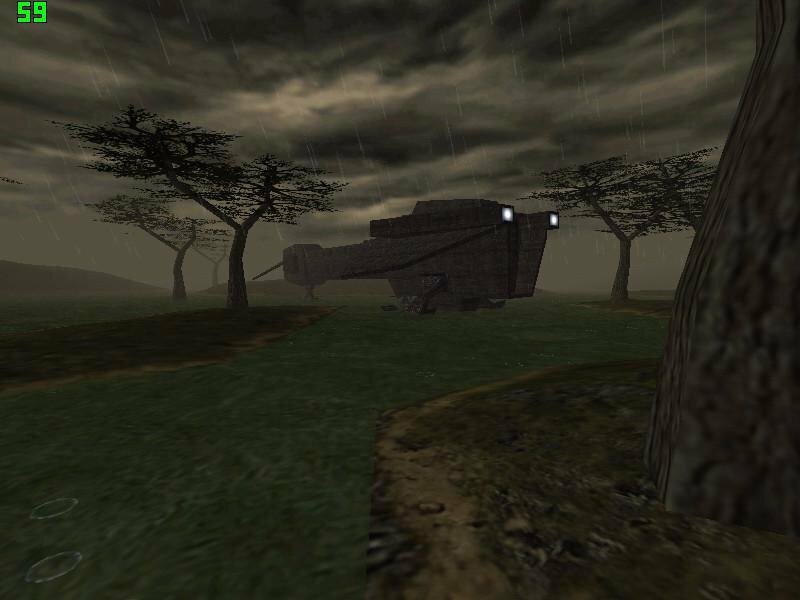 You’ll wage war across hills, cities, forests, deserts, junkyards, and more. Realistic weather effects, such as rain and snow, provide nice touches to the combat environments. 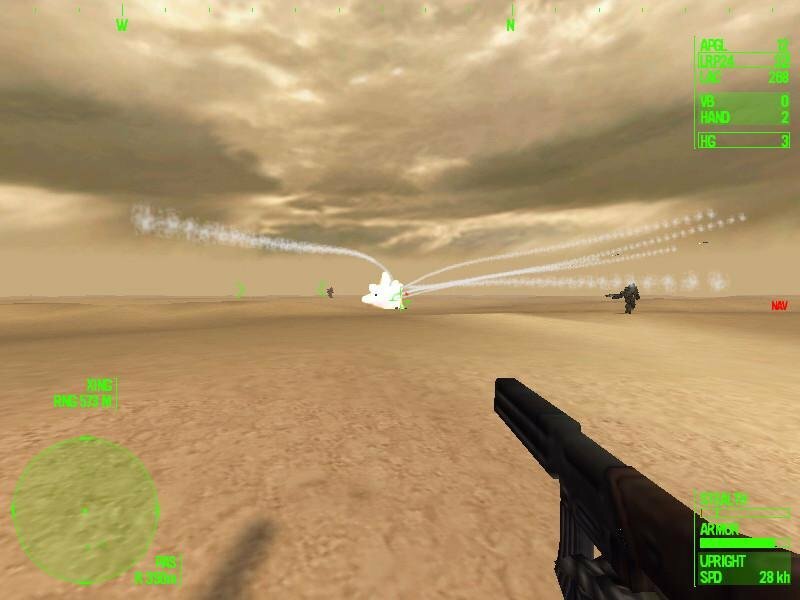 Most dazzling of all, both visually and from a gameplay standpoint, are the missions set in outer space. In these missions, you’re weightless, complete with inertial modeling and three dimensions of movement. You can be facing forward and floating left, spin around, spin sideways, and so on. It’s extremely hard to master, but a lot of fun once you do. For the most part, control is surprisingly intuitive, and key assignments can easily be remapped. 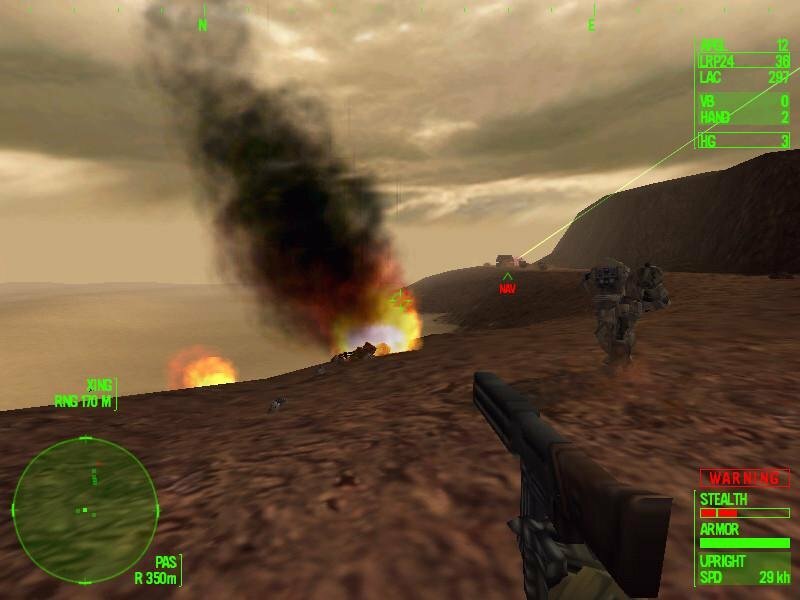 Heavy Gear II’s most surprising contribution to the genre is an unprecedented degree of tactical control over your squad. You can switch easily to a close top-down view of the mission area to get a sense of the terrain. 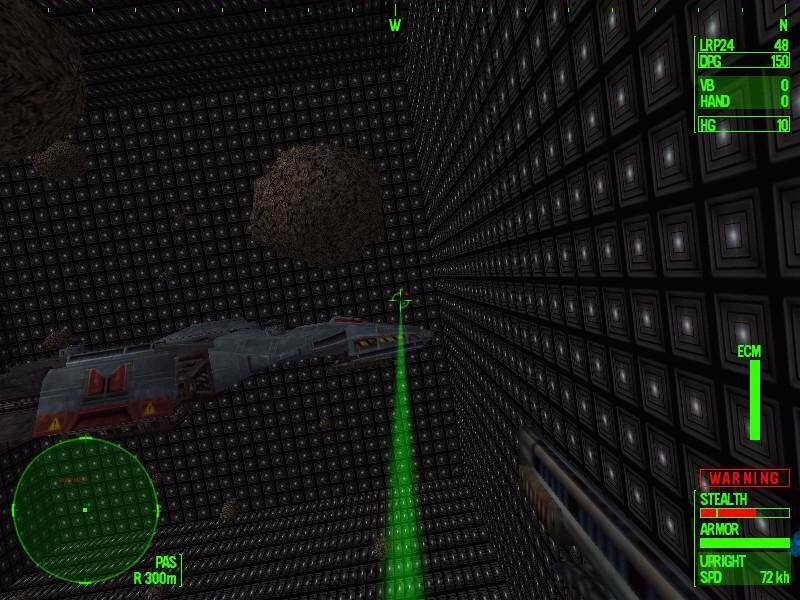 From this view you can lay checkpoints out on the map and use these as waypoints to direct the actions of other Gears. 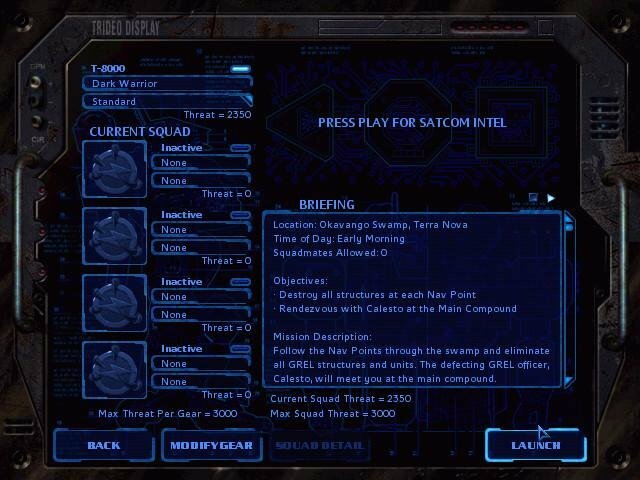 Each unit can be given the standard attack commands, but you can also order the rules of engagement (fire at will, return fire, hold fire), assault type (flank left or right, frontal, automatic) or formation. The game does a superb job bringing all of this innovation into a compelling, action-fueled package that will have you coming back for more. 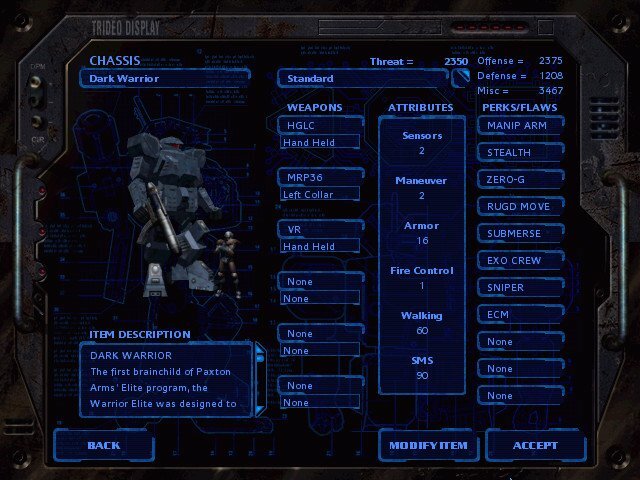 If you’re a MechWarrior fan looking for a game that tries things differently, look no further than Heavy Gear 2.